So in case you’re curious: when it comes to Neil Young’s biggest solo hits, I’ve always liked “Old Man,” and begrudgingly accepted that “Heart of Gold” is a fine song, and am glad that they both exist. 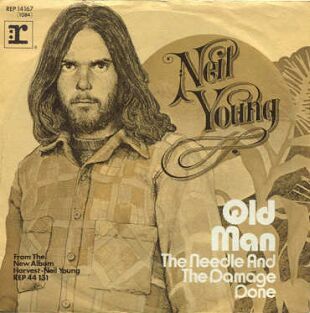 It’s awesome that Neil Young had a #1 hit, regardless of my lack of enthusiasm for that hit. Besides, I think that Neil needed a taste of superstardom in order to realize that it was something that he didn’t really want. And lets not forget that even before the so-called “Ditch Trilogy” that followed Harvest was Journey Through The Past, a combo of nearly unwatchable film — and yeah, I tried at a midnight movie at the Tower Theater back in the early 1980s — and tossed-off soundtrack that was clearly a direct challenge to the millions who came aboard at Harvest.